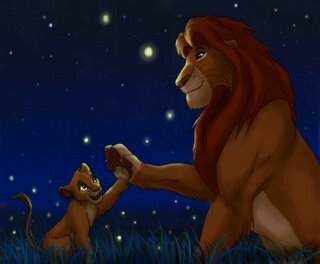 Simba and Mufasa. . Wallpaper and background images in the The Lion King club tagged: disney the lion king lion lion king king. This The Lion King fan art might contain potret, headshot, closeup, headshot closeup, kulit, skintone, bogel berwarna, dengan telanjang separa, bogel tersirat, kulit skintone aurat berwarna, and separa bogel.